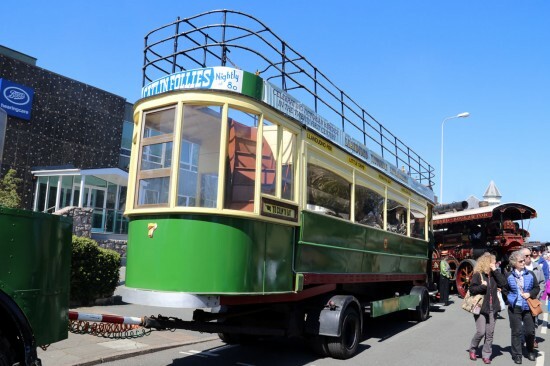 The Llandudno & Colwyn Bay Electric Railway Society’s replica tramcar no. 7 was once again out in public over the May Day Bank Holiday weekend with it both on display at the Victoria Extravaganza and also taking part in the daily parade of vintage vehicles. 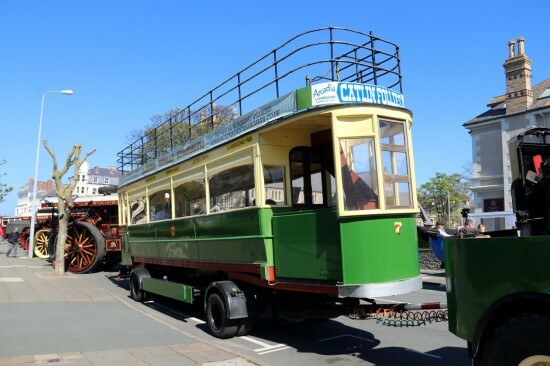 These photos of 7 were taken on Saturday 5th May when the tram was unable to take part in the Parade because of issues with the Matador lorry used to transport the tram around the local area. All photos from Kevin James. 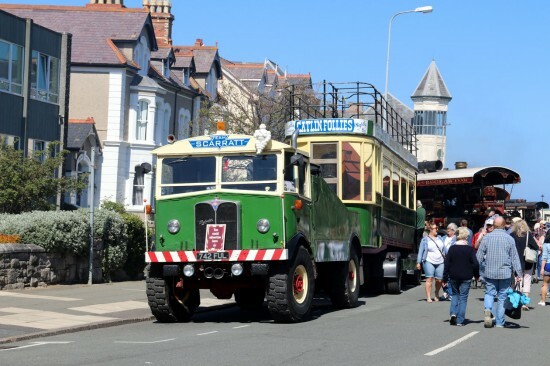 7 on the back of the Matador in the Llandudno Bank Holiday weekend sunshine. With the Matador lorry attached to the front of the trailer 7 is on display amongst other vintage vehicles. This entry was posted in Llandudno & Colwyn Bay Electric Railway Society. Bookmark the permalink.